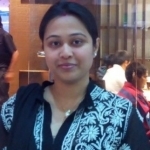 Anamika Chowdhury from Delhi, B.Com Graduate. RECRUIMENT EMPLOYEE RELATION EMPLOOYE GRIEVANCE EMPLOYEE ENAGAMENT TRANING AND DEVELOPM.. PERFORMANC APPRAISAL.. ATTRITION MANAGEMEN.. STRATEGIC & OPERATIO.. ON BOARDING & INDUCT.. HR POLICIES & PROCED..
are one of expert skill area's of Anamika Chowdhury . Anamika Chowdhury is working in Human Resources industry.